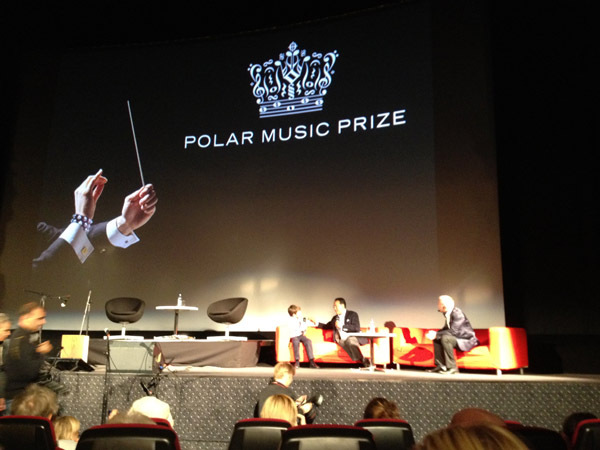 to market the Polar Music Talks & Sessions and create awareness around the brand. 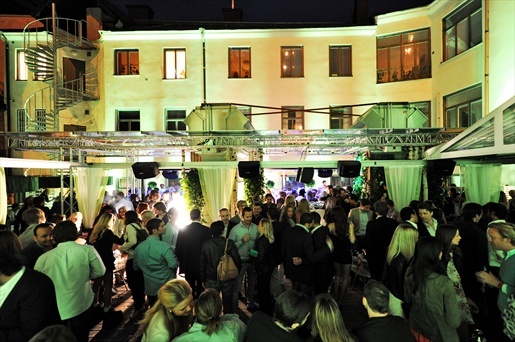 film for the party to be projected on to the wall and to be used for digital marketing. kaleidoscope taken from the film. Each of the 40 Laureates got there own pattern. 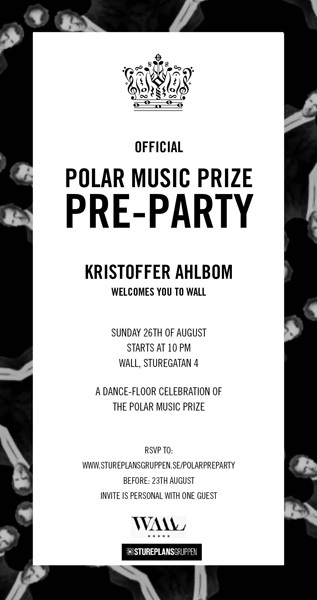 Invitation to the Polar Music Prize Afterparty. 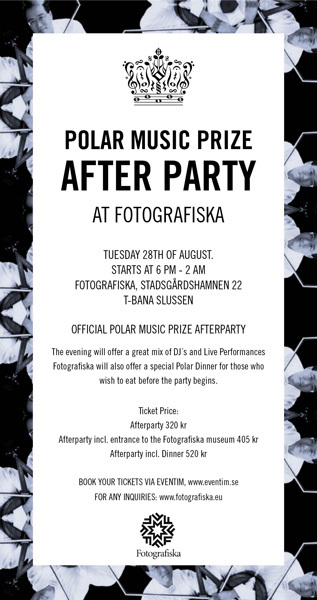 in the same style as the Pre-party invitation. 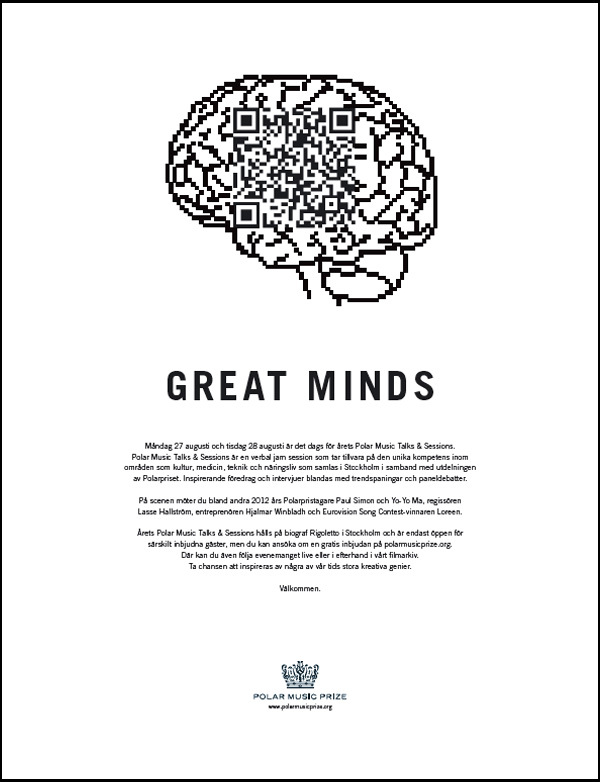 AD for Polar Music Talks och Polar Music Sessions 2012.
were you could read up on Talks & Sessions and apply for a ticket. 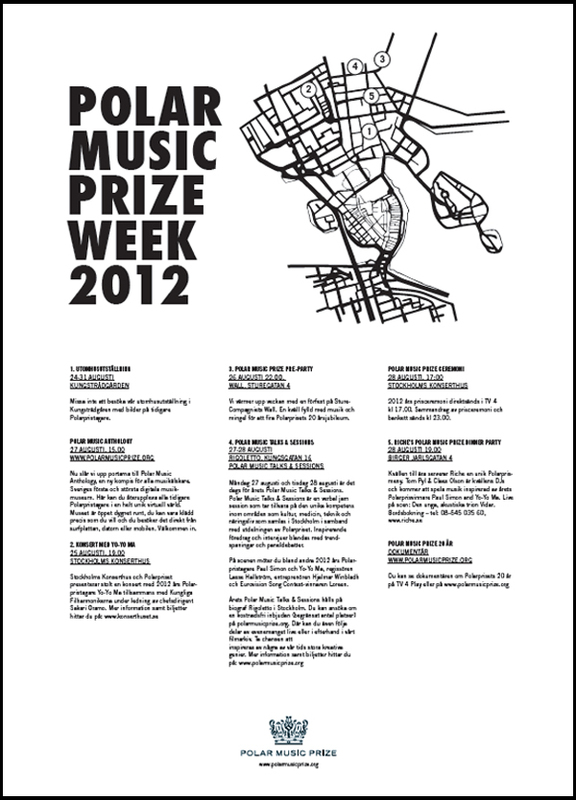 AD for Polar Music Prize week 2012. 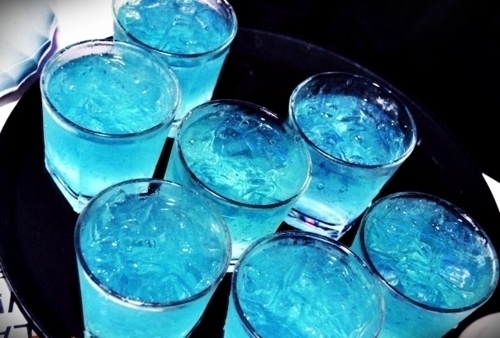 02/09/2012 | Filed under See all.